Memorial Day weekend marks the beginning of the summer tourist season here in Northern Michigan. Literally, within days a drive that took 10 minutes will now take 20 minutes and our favorite restaurants will fill up with reservations and everything gets just a tad busier than it was 2 months ago when we all wanted to leave because winter felt relatively endless. 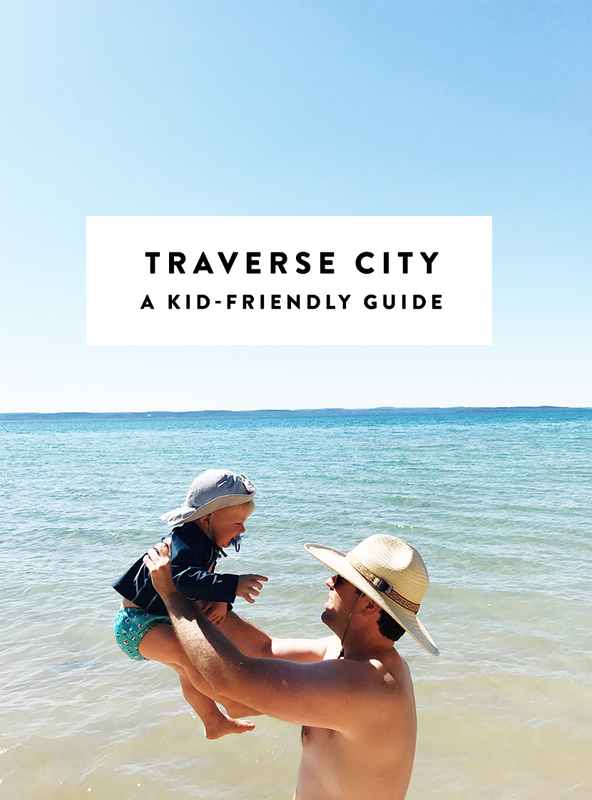 With the warm weather on our shoulders and the area preparing for the influx of people coming to the area for a visit during the most gorgeous two seasons here (Summer and Fall), I wanted to share the most requested guide I have gotten for Traverse City and the surrounding area. There are a lot of amazing and beautiful things to do with little ones. There is a reason this city has such a high population of young families. Life here as a family is really good. 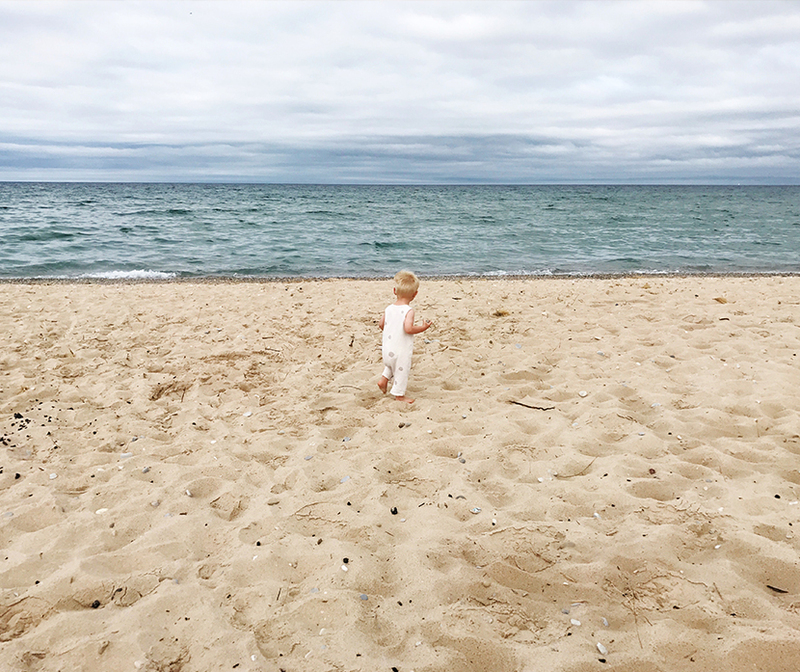 So I wanted to give our top picks for traveling here with your littlest best friends in tow. There are about 5 or so food trucks with lots of fenced outdoor space. It is located on the east side of Front Street and is the hot spot to eat with kids. 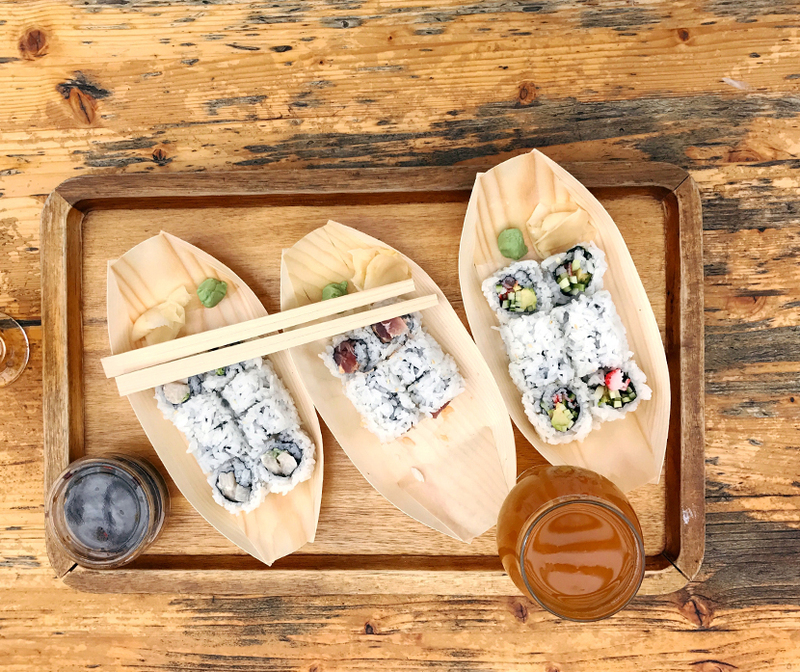 There are picnic tables, lots of room to play, fun events, and you can get a margarita while your little runs around and you are waiting for your food. Plus, with the varying food trucks and in-house restaurant (Milkweed) you can be sure everyone will find something they will want to eat. High-end tacos and central American food right on Front Street. They have a great kid’s meal and they bring it out quickly so everyone is getting full. They also have great kid craft options to keep their hands busy. It is a tight space so they don’t allow strollers or any large baby gear. Also, there can be a wait. I suggest either doing to-go and heading down to the water just two blocks away for dinner on a busy weekend night if you still want to enjoy their yummy tacos! Owned by the same company that runs Trattoria Stella, this place is very large and sits in the middle of Front Street. The food is much more American than Italian (Stella is Italian food at GT Commons), but it is great and possibly the best burger in town. Lots of healthy options and they even offer healthy kid menu options. Over at The Commons, you can grab some Spanglish to go around lunch time and eat it there in the green areas at the commons before or after a hike. Or take it next door to Left Foot Charley and get some wine or cider and eat your tacos while little one eats and has a sandbox to play in. Just off Front Street on Union, you can find Harvest, which is the permanent version of the food truck at The Little Fleet called Roaming Harvest. Harvest has great food options, beer and wine, and many locally sourced ingredients. In Suttons Bay, this is a great place to take the kids and have a beer or wine. They have fire pits for roasting marshmallows and a full menu available for dinner as well. Lots of outdoor space that is ideal for kids to run around. Just educate your little ones about the potential of poison ivy in the woods surrounding the area. This is our favorite place for brunch in town and in the summer they have great outdoor seating which is great with kids. 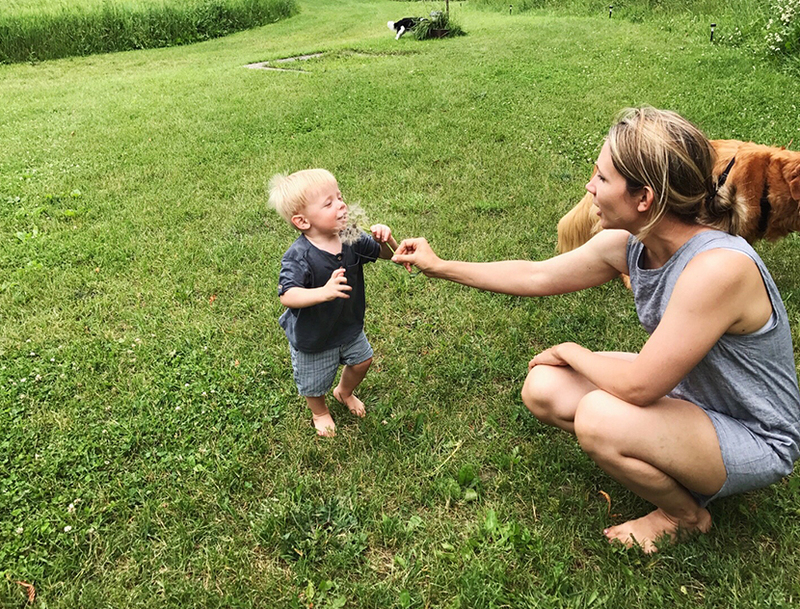 Though they don’t necessarily cater to kids, they always have wonderful food for us and even Hayes loves sitting outside and seeing the birds and dogs. It is a fun place in the summer. A New addition to the food/drink scene. Head in here to find a few different food vendors and a brewery. Lots of indoor and outdoor space that is very accommodating to kids. Grab and go lunch items that are great for picnics or hikes out in the National Park on your way out of town. 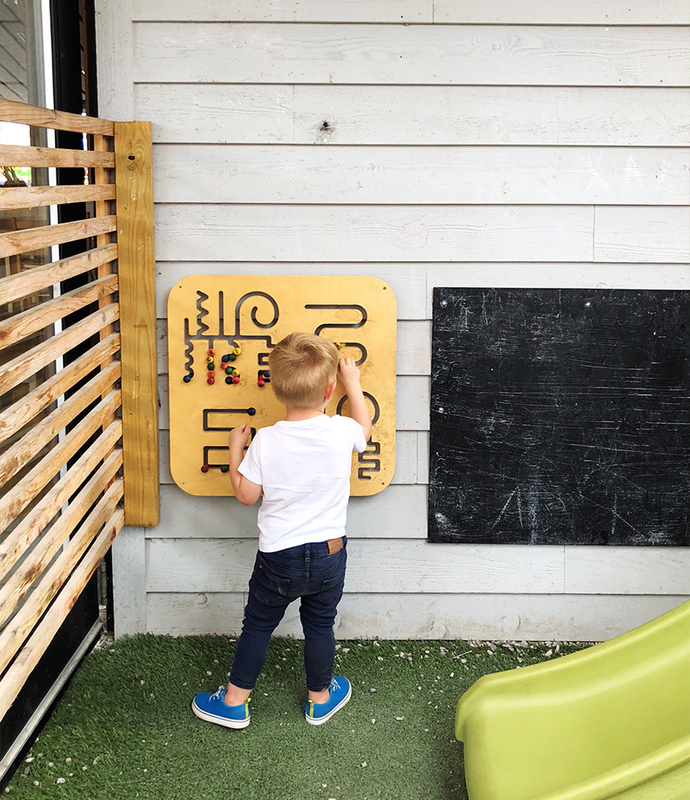 This little spot tucked away just off the main drag in Sutton’s Bay is so cute and fun! The ice cream is great plus they have Italian ice. A little different than the traditional ice cream places you find up north. Head out north of town for some farm to table (or so to speak) ice cream from the national ice cream winners. Seriously if you are an ice cream fan it is worth the wait in the line. The only time there isn’t a line is the beginning and end of the season. If you want to eat it but not stand in the line, you can find it at local grocery stores and many downtown places. This is the best place to pick up healthy food in town especially for on the go. They have great smoothies for the little ones, kombucha on tap, and everything you can imagine. It is our go-to for picnics and so on. Just off of Garfield so if you are on the east side of town it is an awesome option for healthy food and to-go items. They are so nice here and have a lot of great options as well. The deli is very good as well. Oh and they also make popcorn and a bag is only $.25 which the little ones always love! 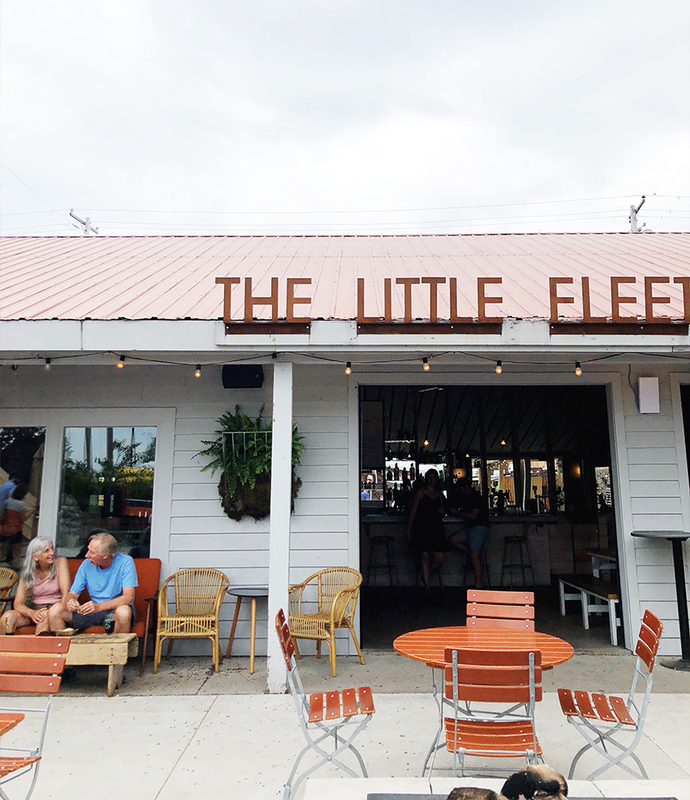 In the summer there is a food truck down at the little fleet but you can also visit their storefront on 14th street. This is one of our top to-go options in our house. Hayes loves sushi so we usually eat here once a week. It is on the pricier side but they use great ingredients and are earth friendly. A great place to grab high-end ingredients for dinner or to just get a really good sandwich made for a day at the beach. This little spot tucked into Fishtown is still the best sandwich shop around no matter what anyone says. The only thing better is Gurney’s in Harbor Springs. But this hands down the best one you may ever find. Just make sure you get pretzel bread. Oh and this guy is CASH ONLY! Want a great dive that is still kid friendly? Art’s in Glen Arbor (also a cute place to poke around for the day). This place has great beer and great bar food if you want something like that. This is a total staple of the area and has tons of character. Don’t miss it. Another CASH ONLY place as well. If you want the best donut ever this is where you can find it. Guess what! It is Cash Only as well. This super cute farm to table bistro is great for a nice dinner or just to eat breakfast or lunch. The hours vary so always check in. There is shaded seating outside and tight cute table settings inside as well. It has an ever-changing menu almost every night. Set in Sutton’s Bay and I would suggest reservations for dinner. Lots of outdoor patio seating and something for everyone to enjoy. Set right in the heart of Suttons Bay so it is easily accessible from almost anywhere. 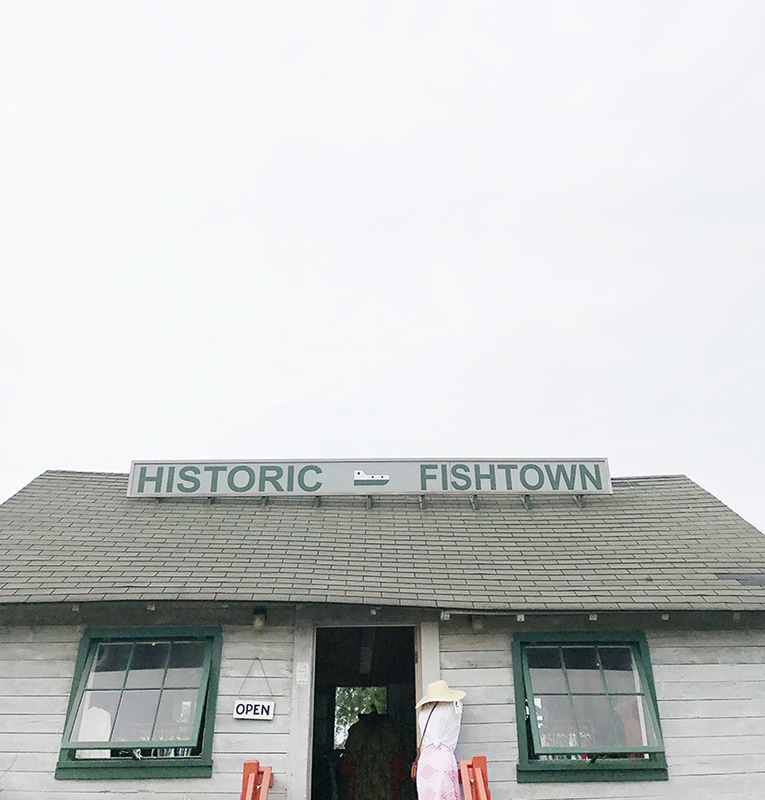 If you head up Old Mission Peninsula, which you should, this is the best place to grab a bite to eat with the family. Everything from woodfired pizzas to great salads and classic northern Michigan bites. A great place between Suttons Bay and Traverse City to enjoy a bite to eat and some farm life. A rustic yet nice spot to stop for something to eat with the kids. Sounds corny, but I know a lot of people that love staying here. There is a lot to do and you are close to downtown. If you want a different variety of places to choose from with a more local feel I know a lot of people have loved using this site to find family-friendly places. If you want to get more adventurous you can camp in Sleeping Bear National Park. I don’t really suggest many of the state parks on the east side of TC because they are busy but if you like that there is one on the east side. These ones are maintained by the National Park Service and are really nice. This is literally the only hotel I would suggest in Traverse City if you are thinking of going for that type of accommodation for your stay. It is nice but may not be the most kid-friendly option, though you are walking distance to the Farmer’s Market on Saturdays and great shopping in the Warehouse District. There is also space here for RVs and camping but if you want something a little different than camping but with the feel this may be a great option for you. 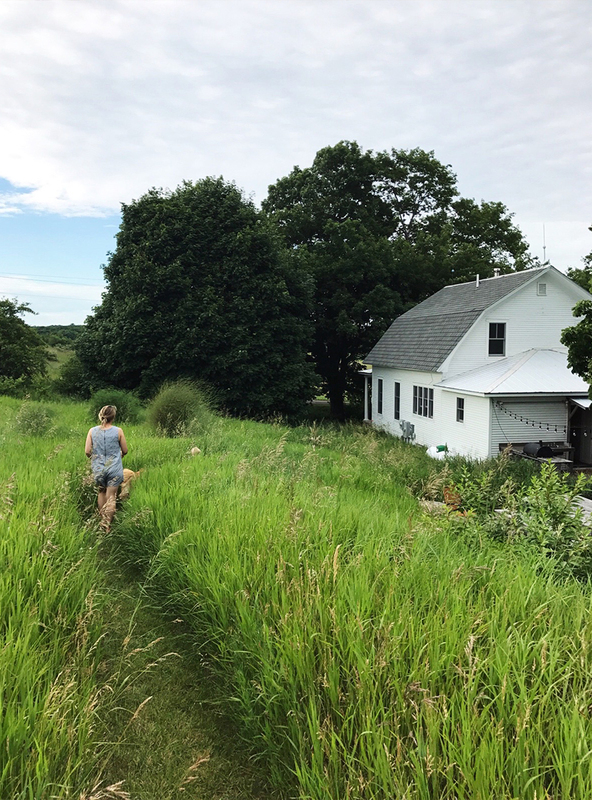 These little cottages start at $200 a night and you right in the heart of Leelanau County. Traverse City has a ton of great little toy shops and kids stores that I highly suggest. Lots of wonderful things if you are hunting for things. They carry some designer quality toys and more, but they also have tons of family-friendly home goods as well. We buy things there for our home. A children’s clothing and toy store with everything you could possibly need for your kids. They have all the designer items and cute clothes from Tea Collection and other great brands. A family-owned toy store that is full of fun if it is a rainy day. So many great classic toys and just a fun place all around. Grab some food, let the kids play in the ball pit and try lots of samples of everything basically. It is a great place to get snacks for the road to hike out in Sleeping Bear or just to come hang on a rainy day. All products in the story are eco-friendly. I highly suggest checking it out for soft kids clothes and great products for your home. There are toys and baby things as well. Tons of awesome kids books in a cozy setting. We love buying books here! Another amazing bookstore worth a visit if you are shopping downtown. They have a large children’s section that we always have a lot of fun visiting. All of Glen Arbor is really cute and amazing. Highly suggest going to shop and check it out and then hit the beach while you are out there. Leland is extra cute but heading down here both for something to do but also for shopping is great with kids. There is everything from clothing stores to candy shops to peruse. This is the place to grab wine in town. We get a lot of specialty items here for dinner sometimes but in particular, we buy wine here. Shawn will always be able to recommend the most amazing bottle. I promise! It is similar to a delicatessen in NYC. There are TONS of things to do around here so this is cracking the surface, but usually there is enough to fill a visit very quickly. If you more specific asks please comment below for me to answer because I can give more to do if you need any other ideas. Also! You can stop into any M-22 Store or check here and find great ideas for trails and more. Every employee is an expert in the area and they have great pamphlets to inspire adventures for all levels. There is a TON to do here. From biking to kayaking to SUP boarding to canoeing to hiking. You name it! You will need a pass from the National Park Association to access a lot of it so make sure you get one. 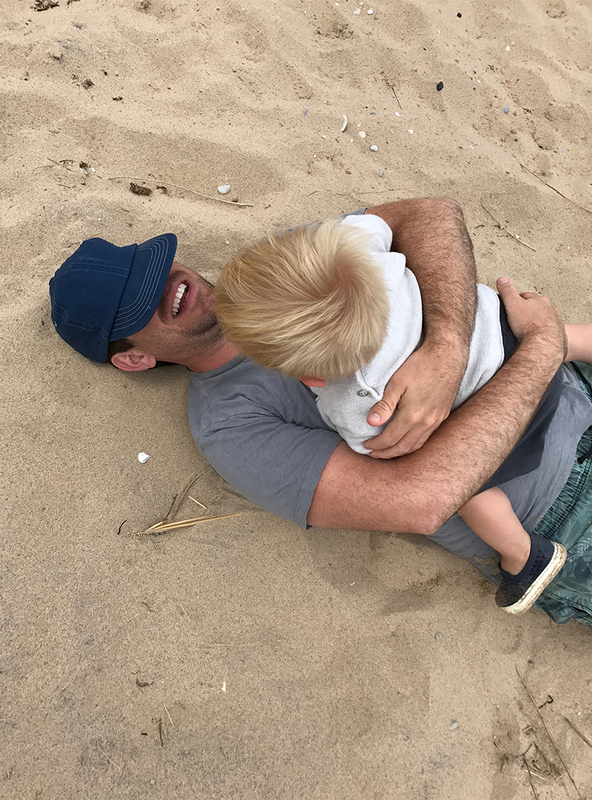 Depending on your children there are trails such as Pyramid point that is fun, short and quick or even just doing the dune climb. You can also do the Pierce Stocking drive as well. This is great for young children. Since there is driving and places to stop for picnics and short walks out to the dunes you can kind of take it at your own pace. 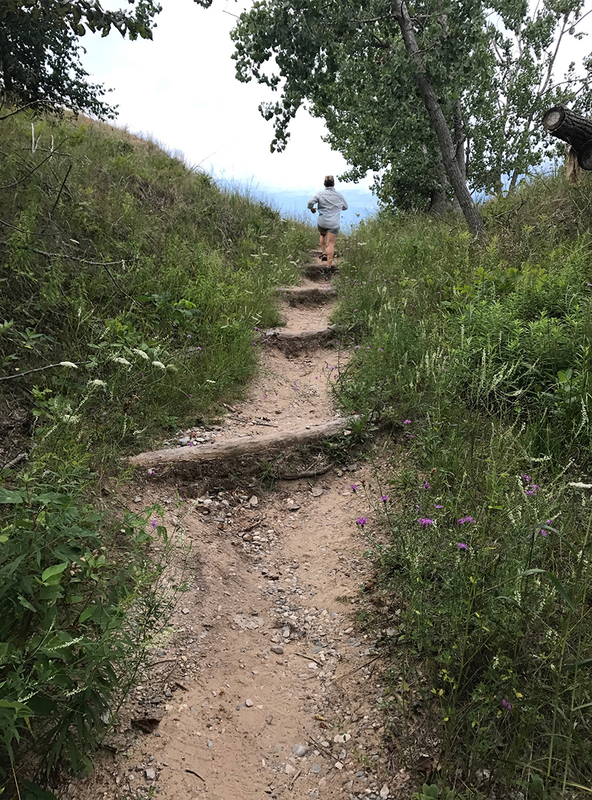 Hiking Trails we love as a family! A wonderful place to wander into and enjoy learning about the great lakes with your little ones. This is really awesome on a rainy day!! The cost is $7 per person and kids under 1 are free. 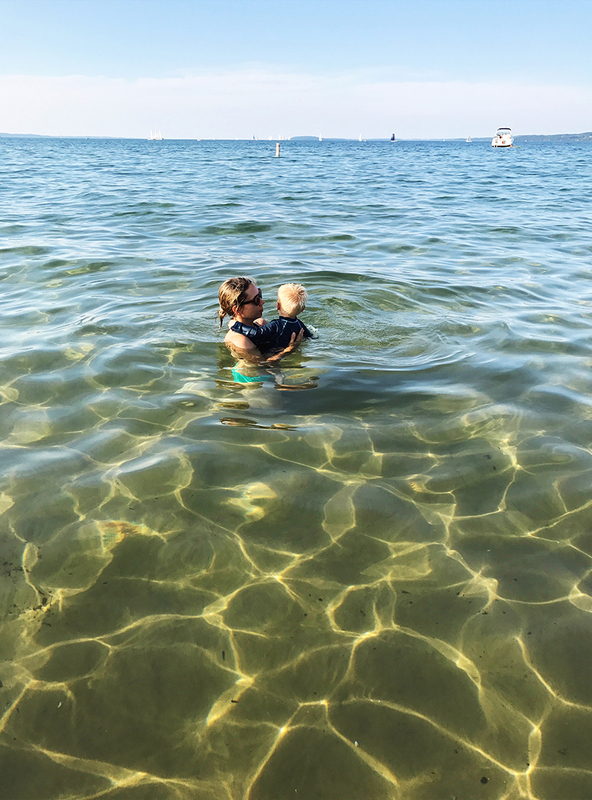 There are a lot of beaches around the area, but finding the right one that is suitable for kids with low water areas, less waves, and other kids to play with can be a challenge. I say the best beaches to visit are Esch Rd. Beach, Haserot Beach, Suttons Bay Beach, Vans Beach in Leland, and any of the West Bay beaches (though check for water contamination warnings before swimming in all areas). This year the water is quite a bit higher in the lakes so make sure you check areas for depths with kids. There are numerous parks in the area if you just need space to let the energy wear off. I suggest the ones in town like F&M park and the Darrow Park in Slabtown. There is also the water/splash park in Clinch Park. All are newer and really well maintained. They are also all great place to take a snack and sit while the kids play. In the summer look for kid’s movies and other awesome things for the little ones here. They do a lot of great activities in the summer especially during the Film Festival at the end of July. Head to Brick Wheels or McClain’s Bike shop (next door to one another) and rent a bike for the day and ride the trails. There is a bus that will pick you up at different locations if you check the BATA schedule. They have racks for your bikes and will take you right back to town in case everyone gets really worn out. The ride from TC is long but TOTALLY worth it! Every Friday in August before Labor Day downtown’s front street is shut down and there are performers, artists, vendors, food, and so much more. Wander the street and find all sorts of fun! Also, key to note this is a TERRIBLE time to even fathom eating downtown at all. They have a wonderful kids area in the museum that is fun for all ages, plus their permanent and rotating collections are great as well. Grab a weekly Northern Express for events the week you are in town including farmer’s markets and more. Also you can head to IPR’s Community Almanac to find out about other events throughout the Traverse City and Leelanau area during your time north. You can also check MyNorth Tickets for concerts and other events happening as well. If you drive all the way back there is a hiking trail that if you go through the main entrance takes you out of the dunes easily. It is a really nice little short hike or a huge hike if you want it to be. When we lived on Old Mission this was a favorite place for us. I went here with Hayes all the time and we hunted for rocks and just enjoyed wandering the beach each time because it constantly was changing. It is gorgeous here. Has a great outdoor area and patio perfect for kids. They do concerts and live music so it is great place to get a drink and snack and enjoy an afternoon with a little one. Lots of space! During the summer and warmer days they have lawn games for kids to play while you enjoy a glass of wine so you can enjoy while they do as well. It is really wonderful. Lots of room to play. Experience the seasons through vegetation at the Brys Estates Secret Garden. This place is great to take the little ones for a snack and lemonade or to pick blueberries when in season. It is pretty magical. There are TONS of markets going on every day of the week so check out all the dates and so on here. If you want to find one. They run from June to October other than the Sara Hardy (downtown TC) and the one at The Commons in TC, which goes year around. 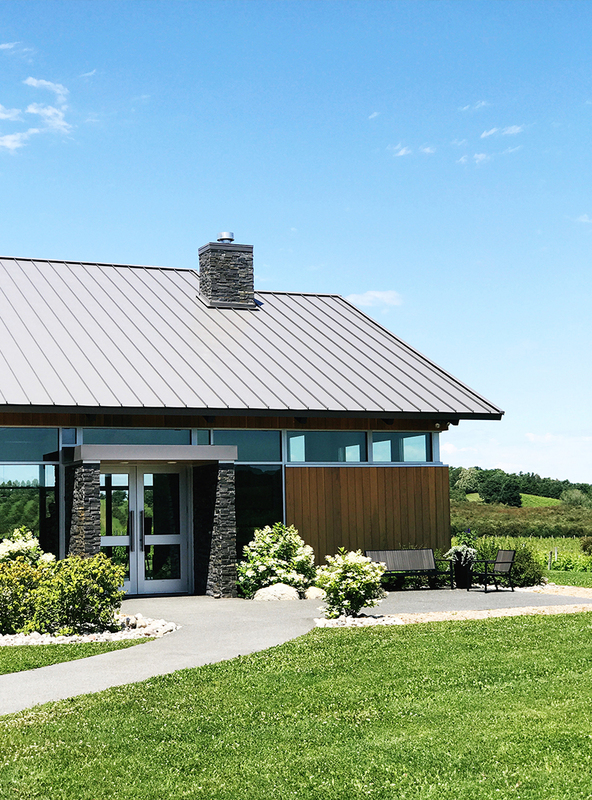 A great winery with a large lawn and lots of space in the heart of Leelanau if you want a great space to relax and have a drink after a hike. One of our favorite places in Leelanau for a glass of wine. We go here a lot to enjoy wine and relax on the lawn with Hayes. It is very relaxed and such a great place for kids to play while we enjoy a drink. A great way to enjoy a day up north is to get on the water. I think with kids it is best to rent a pontoon boat than anything else. Lake Leelanau is a great lake to relax and have a boat day on. The waves are minimal and the water is great. There are lots of rental companies but this is one we have heard great things about. This is a great place to go as a family for a leisurely river ride. You can watch fish swim under your kayak and more. If you have younger kids you may consider a canoe. The best part is if you use a rental company they drop you in and pick you up at the end. Would love to hear if you guys have any other specific questions or share some of your favorite things to do in the area as a family. There is plenty more wonderful and amazing things so I cannot wait to hear what you guys have to add to the list and any experiences you have had. This Friday We’ll be driving up to Traverse City from Indiana. We’ll likely stop in Grand Rapids for Lunch. Any recommendations for where to stop? We’ll have an infant with us. Thank you! I highly suggest the Grand Rapids Farmer’s Market Pavillion. There are a ton of vendors in the building selling food. It is not stuffy or anything but easy to bring a stroller and walk and find some food and a place to sit. The other place we go a lot is Marie Catrib’s and that is also great with kids. If you are having a rough ride and just want to keep going though, they have a grab and go section. I highly suggest the Mother Earth with some pita. Super great. Love this thought out list! looking forward to a lot of your recommendations over Labor Day weekend! I love this article and think it aligns well with our interests. any specific suggestions for a cool, slightly Wet day with a 4 and 2 yr old? They need to burn energy in a safe place. Ahhh yeah that is pretty tough! There is the Great Lakes Children’s Museum, the local Libraries in every town, and then there are a few bowling alleys and stuff that are family oriented. Not much surprisingly. Most of us just go to each other’s homes or get the kids out in rain gear and embrace it. Hi Megan! this fall we moved back to michigan from california and we’ve never been to TC! now that things are calming down at my new job and spring is coming soon, i’m itching to get a trip planned! we would want to avoid the summer crowds. Are many of the things you mentioned above open year-round? i’m thinking that we would probably try to come late april/early may to enjoy being outdoors before the crowds arrive. Yeah most of these things are great! Honestly as long as you come before Memorial Day you are good with the crowds. Plus our schools here won’t let out till mid to late June so I think that time will be later as well because of it. If you want to know about specific events check the Community Almanac on IPR and My north Tickets for specific things as well. Also check out the Great Lakes Children’s Museum. Great rainy day thing.